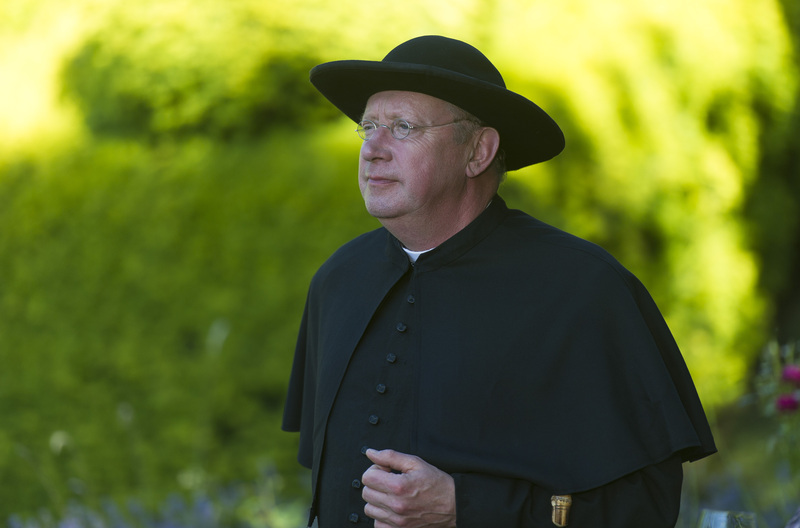 I blogged a few weeks ago that Ceri Meyrick, the BBC producer of next year’s Father Brown series starring Mark Williams, had very kindly agreed to answer some questions about the series. 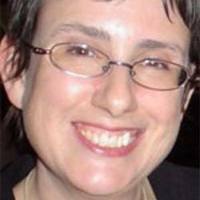 Ceri started as a Radio Production Trainee at BBC Wales, and has worked as a Script Editor and Producer in the UK and Ireland for the BBC, Carlton, World Productions, Granada Kids, Chatsworth, RTE, Parallel and Accomplice. As a Development Producer at BBC Drama she ran the BBC Drama Writers Academy with John Yorke, training writers for BBC series including ‘Casualty’, ‘Doctors’, ‘Holby’ and ‘EastEnders’. ‘Father Brown’ was developed using these writers. She is currently Series Producer of ‘EastEnders’. Here she answers questions from Past Offences visitors, members of various Goodreads crime and mystery groups, the Golden Age Detection Yahoo Group – and from me. Thanks for everybody that contributed. So, to begin with the basics, what does a Producer actually do? A sort of project manager. I oversaw the whole ‘Father Brown’ project, from development to final cut. What led to the decision to film Father Brown? Did you ‘audition’ any other detectives before deciding? BBC Daytime wanted a home-grown detective show for the afternoons on BBC1 . Initially, we had pitched them some original ideas from our writers, but they wanted something that was already a brand and therefore less of a risk (in Commissioner-speak). Father Brown fitted that bill perfectly, and hadn’t been filmed since the 70s (with Kenneth More). Our Executive Producer John Yorke came up with the idea after hearing a radio documentary about G. K. Chesterton presented by Ann Widdecombe. Assuming all the episodes are based on the original stories, how did you go about selecting which ones to film? Writers pitched ideas for episodes. I gave them the choice whether to adapt an existing story, or to come up an original idea. In the end only half of the ten episodes we made were based on GK’s stories. You tweeted mysteriously about nuns, and I saw something about underwater filming… are you allowed to reveal which stories you filmed? We filmed ‘The Blue Cross‘, ‘The Eye of Apollo’, ‘The Hammer of God’, ‘The Wrong Shape’ and ‘The Flying Stars’. Nuns were involved in one episode – yes – but I can’t recall any actual underwater filming – unless you could the appallingly heavy rain we were filming in most of the Summer. The series is set in the 1950s, unlike the stories. What led to that decision? The stories are set all over the world and in lots of different times – GK wrote them over a period of several decades, of course, but he died in 1936, so moving them to the 50s was a big change. We were advised that period shows work better if they are set within living memory, so that’s why we updated it. We wanted the TV show to be anchored in a time and a place – unlike the stories. My feeling was that the stories had a timeless feel to them anyway. Did you ever consider the full 21st-century update, a la ‘Sherlock’? No – we wanted to keep it as a period show with the detective figure solving the puzzle using their minds and knowledge of human nature – rather than getting into the world of mobile phones and DNA testing. Although we changed a lot from the stories – I wanted to keep the essence of the character of Father Brown himself. I guess you could bring it right up to date, thought, as they did with ‘Sherlock’. It would be an interesting exercise. And why anchor Brown to Gloucestershire? In the stories he gets around a bit. We wanted a sense of place for the audience to come back to every week. Plus, we needed to film near our base in Birmingham. The Cotswolds is gloriously beautiful and also, quite easy to film as period, with little in the way of modern buildings. Also, we didn’t have the budget to go to Mexico, New York and all the other places GK sent Father Brown. Maybe next series! Is there the currently fashionable story arc, or do you make each episode a self-contained episode? We decided to go self-contained – so there is no serial. Each episode stands alone so they can be viewed in any order and the emphasis is on the story of the week. Is there a single writer, or is this a team effort? On this series we used eight writers. Two lead writers (Rachel Flowerday and Tahsin Guner) set up the world and the characters, then the others all contributed episodes. What this gave us was ten very distinct and individual episodes. Mark Williams seems to be a very popular choice, but he’s not exactly the Father Brown as described in the stories. How did you come to cast him? Does he play it for laughs? Mark’s acting style has a huge amount of heart and empathy. For me that is the essence of Father Brown. He can also do comedy of course- which is essential. He can and does do both in the part. Is Mark a fan of the stories? Mark is hugely well read – not just the stories, but also about clerical history, and the history of the area we filmed in. Was he influenced by Alec Guinness’ performance as Brown in the 1954 film? I don’t think he’d seen it. Are you allowed to say who else auditioned? Who are all these other characters, Susie Jasinksi, Lady Felicia, and so on? We gave our Father Brown a gang of ‘helpers’ – as part of the process of making this work as a 45-minute TV drama , rather than a short story. It enabled us to flesh out the stories more and give them more of a 3D feel. We’ve given him a Polish refugee cleaner (Susie), a Parish Secretary (Mrs McCarthy), the lady of the manor (Lady Felicia) and her ne’er-do-well chauffeur (Sid), plus the local copper (Inspector Valentine). Different types of characters from different social strata gave us and Father Brown access to different worlds, and therefore gave us more ways of telling the stories. There is! But you’ll have to wait and see. There was a lot of interest from Goodreads users in when the series would reach international markets – the US, Australia, New Zealand, even Italy. How does this process work? BBC Worldwide will be selling the show to other broadcasters. They did put some money into the show for us up front, so they are really interested in marketing it around the world. We have tried to get the essence of the English countryside into the show – which hopefully will appeal to an international audience as well as BBC1 viewers. Religion was right at the centre of the Chesterton stories. Is that reflected in your series, or have you gone more secular? Interesting question. What a cleric at the centre of the show gives you is a strong moral code and authority, plus a huge sense of humanity. I think we did make it more secular – but our religious adviser was quite happy about our portrayal of a Catholic priest. He is the hero after all. G. K. Chesterton became a Roman Catholic only after writing the Father Brown stories, and Alec Guinness also converted after playing the character. Any signs of spiritual reawakening amongst the cast and crew? Not yet. But I think Mark’s Latin has improved immeasurably. Mine too. And did you rein in the whimsy? I hope we’ve preserved it where we can. Finally, when will the series air, and are you planning more episodes? January 2013 on BBC in the afternoons – and yes – series two is already being thought about. Fingers crossed we get it made. Gallery | This entry was posted in Classic mystery book review, Father Brown, Golden Age detection, Information Received and tagged BBC, Father Brown, G. K. Chesterton, Mark Williams, UK. Bookmark the permalink. Rich – Thank you so much for putting together this interview and thank you so much to Ceri Meyrick for consenting to it. Really, really interesting information! I hope this series gets to the part of the U.S. where I live at some point soon. Looking forward to the shows. Thanks for this inside look. Sounds very promising… not being particularly well-read on Father Brown, I doubt I’ll be offended with any changes. Thanks for the interview. You should check out The Invisible Man and The Wrong Shape – I’d be interested in what you make of them. Also as a Carr fan, The Honour of Israel Gow (for its atmosphere). They’re all free on Project Gutenberg. Just out of interest, did you buy the kindle edition with annotations? I did, for all of 77p, but I can’t see any annotations (This is using Kindle for PC). as a purest, and having watched two episodes so far, I wish they hadn’t bothered filming them. I hope they will improve, but don’t really have much confidence but fear the worse. Totally agree… I find the actor playing Father Brown to be priggish and prone to mugging to the camera rather like Robin Williams did and its not attractive. We’re watching Father Brown in TX on Netflix. Often TV and movies are not as good as reading the books, but we haven’t read the books, so we love Father Brown! Also we are not bothered about Catholic things that seem to bother you in England, and we love the music, the quirky characters and, of course, the lovely British countryside. Wow Thank you ! A Brilliant series of Father Brown ! Mark Williams Excellent as always ! Beautiful scenery. Unfortunately missed yesterday’s episode as box did not record, will catch up with it sometime I hope. I am inclined to agree with mike foy. Why call the episode “The Wrong Shape” when you have actually taken out of the story the point of the phrase, which was that the corner was snipped off the note, making it “the wrong shape”? Also…please do not have a priest reciting a psalm in Latin if the actor can’t do it correctly and fluently. That particular psalm (the De Profundis) was in every Catholic’s bones (and even more in every Catholic priest’s bones) until at least 1965. Father Brown would not have needed to read it from a book, and he wouldn’t have made even the slightest slip. It is as natural to a pre-Vatican 2 Catholic as the Our Father. The actor made several major mistakes, and also pronounced it in a half-church, half-school way. No pre-Vat 2 Catholic would have done that. It really jarred, and the more so because it was unnecessary. I have enjoyed the series and think the actor was well cast as Fr Brown. However, why was the church so obviously an Anglican one with grave stones outside? And in the 50s the Celebrant Priest did not stand outside after Mass to talk to the parishioners as the Anglicans did.There were several jarring mistakes but on the whole the character of Fr Brown was very credible unlike the ‘bishop’ who I think was ill cast. This annoys me every week. It as nice series but why use obviously English Protestant churches? English Catholic churches aren’t nearly so pretty but it just doesn’t work…is it for the US market where things like that aren’t understood? My wife & I have just watched all 10 episodes ……Fantastic.! I love all the stories of Father Brown all well acted and really real to me! A brilliant series! I will have to read the Chesterton’s originals too ! I like the fact the detective is not solving the mystery just for fun and curiosity but for the ultimate good. Thanks for the comment Jeanne – I hope you like the stories. If you want to sample them, the earlier books are available for free online as they are out of copyright. Enjoyable though the Father Brown series is, I find it dificult to know what time period it is meant to be representing. The original author, Chesterton died in 1936 and Father Brown was introduced and first published in 1911 (The Innocence of Father Brown) yet the stories include mentions of:- the Atomic Bomb; Brown having served in both world wars and advanced methods of forensic analysis. There are a number other apparent anachronisms. The cars and clothing seem to be a little later than the original period covered by Chesterton but not as late as postworld war 2.. .I appreciate that the character is only ‘based’ on Chesterton’s sleuth, but the series needs to make up its mind about which era it is portraying.. The latest series was just awful. I don’t know why I watch it. Mark W has become a little more fluent in Latin, which is something…but for goodness’ sake, HOW can you have a Mass said in English (in the episode set in a seminary), and what’s more a translation which arrived in about 1970, in a programme set in the 1950s? Mass in English did not exist at all then. Also no Catholic, and certainly no seminarian, would have referred to having forgotten “my prayer book”. He would have said “my missal” or “my breviary”, depending on which it was. There were “prayer books”, or books of devotions, but they were for private use. I won’t go on, but I could. I hate to think what other howlers there are in this series, since there are so many in the one area I really know about. Why on earth isn’t there a Catholic advisor to the series – or at least someone who knows what Catholic life was like pre-Vatican 2? I loved the first two series. The third series…hmm. Saved by the way those lovely actors took it so seriously and by the beautiful settings – but I wonder if others agree that the plots of series 3 were way beyond daft? All the same, I have grown to love these characters. I’m so glad Father Brown and his humanity made it to the BBC at a time when so much else is so footling and trivial. Very many thanks to all concerned. I just noted BBC 1 has stopped Father Brown at 2:15 in the afternoon and am very disappointed 😒 would it be back any time soon? Hi Floria, I think probably the same time next year. I have only seen 6 episodes of Father Brown on PBS and think it is fantastic I would like to say Mark Williams is so great in the part I forgive him for being different from the priest in the Chesterton book “The complete stories of Father Brown.” Keep sending those shows to the US. I have watched all the episodes from season 3. I hope they will start season 4 soon here in Australia. I’m a Catholic single mother and a member and play the organ in our church choir. I enjoy all the episodes that’s related to the church or subjects connected with the catholic church like the The Bride of Christ, The Hammer of God, Daughters of Jerusalem, Mysteries of Rosary. I hope you can write an episode about the Templars, doubting Thomas the Apostle, and the Bible. The most important factor for me for watching Father Brown is the strong moral and spiritual lessons from each episodes. thanks a lot for showing Father Brown in Australia. What model is lady felicia’s car? Do you have any idea what the poem was that violet read by her daughters grave at the end of the Wrong Shape? Thank you. Hi Sandra, I have written to Rachel Flowerday, one of the writers, and she told me that the poem was ‘Death is Nothing at All’ by Henry Scott Holland. I just love Father Brown’s tea set. I was wondering if you get it anywhere. Can’t find any information on it at all. Very delightful. I love the tea set, also! Any new information on what the pattern is and who makes it? Was there an answer to Sandra’s question about the poem read at the daughter’s graveside at the end of The Wrong Shape? I also would like to know, and have the full version. Hi, I have written to Rachel Flowerday, one of the writers, and she told me that the poem was ‘Death is Nothing at All’ by Henry Scott Holland. I’ll reply to Sandra as well. It was nice to see bits of Blockley, though–we have stayed in the village several times. I see that Mark Williams has taken the village and the Blockley church under his wing, so that is a good outcome. But we will definitely not be buying season three! Looks like the thought police have decided a younger version of Lady Felicia is required. Why? Se how not to do it – If any personnel change is required, surely it should be the current chief copper, who only needs a twirling moustache to complete his pantomime and highly irritating performance. Let’s be honest, this show is good period escapism. Glad that the producer decided to anchor the time period in 1953 ( Poirot was kept in 1936 over a 20 odd year series! )and not move into the mid/late rock and roll fifties, which has a different feel. Some series, like Call the midwife, need to move on to show advancements in medical science and attiTunes, but other series like Father Brown, Poirot and Heartbeat need to stay put in a specific time capsule and not relate to too much reference information that will encroach on the illusion. Great series and nicely acted by the ensemble. what is fr. brown’s first name? In the story The Eye Of Apollo, in the last sentence of the first paragraph, he is referred to as Reverend J. Brown. This indicates that the first name begins with J. “Worse than that,” said Paul like a grave echo. This indicates that the first name is Paul. Thus there is a contradiction ! I really enjoy the Father Brown series. Mark is the perfect guy for the priest. Love Sid of course sorry he is not in the show anymore. I’ve been a practicing Catholic for 72 years and I like the way the priest is portrayed. I mean they don’t get everything right but this is minor. What impresses me is that he is there for those in need of saving their souls. The priest nowadays stays outside and chats it up with the parishioners as they leave Mass. I wish the constabulary was a little less hostile to Father Brown. He deserves respect since he represents Jesus. Get a new inspector and bring Sid back and Felicia too. Thanks. What is the China pattern seen in Father Brown’s kitchen.? Will Sid or Lady Felicia return to Father Barn ? Has anyone found the China pattern of the turquoise set that father brown uses. I have look and can not find it. Thanks Santosh, I’ve downloaded that. Why I hate this stupid show. As a former homicide investigator, a priest would be incarcerated for his continued and outrageous behavior. The show has no merit at all and is a complete waste of time to watch. Thank goodness for the remote. Can anyone say OBSTRUCTION!!!! Is mark williams a real priest?